Browsers have made it easy to mute sites How to Mute Tabs With One Click in Google Chrome How to Mute Tabs With One Click in Google Chrome Fight back against auto-playing videos and annoying sites with background music with Chrome's newest feature. Read More on individual tabs that autoplay video or audio content the minute you load the page. 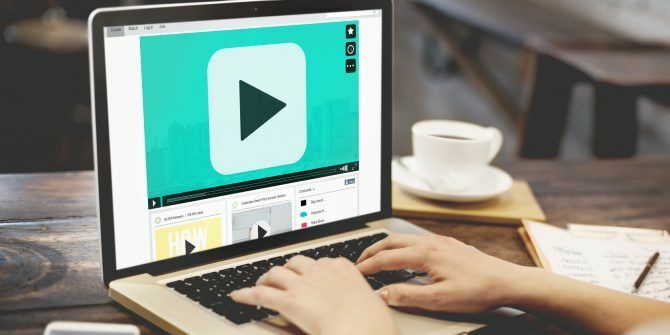 If you find yourself visiting a lot of pages with intrusive autoplaying videos and simply want to put a stop to it, these tools can lend a helping hand. Silent Site Sound Blocker gives you complete control over what sounds come out of your Chrome browser. Once you install the extension, all tabs are automatically muted. Right-click the extension’s button in your browser to bring up a context menu. From this menu you can whitelist and blacklist sites, and you can temporarily unmute sites by clicking Allow this time only. The Firefox add-on Mute Sites by Default is less robust than it’s Chrome counterpart, but it has the most important feature you would want out of a tool like this: the ability to whitelist. Once you install the add-on, there’s nothing you have to do. All sites will be automatically muted. You can whitelist sites by going to your Firefox add-ons, clicking Extensions and find Mute Sites by Default in your list of add-ons. Click Options and you can start to enter whitelisted sites one by one. On Safari, this option is actually a native feature for those running OS X El Capitan. Simply open up a new tab and click the blue speaker icon in the address bar to mute all tabs playing sound. To unmute your tabs, simply click the same icon again. To unmute individual tabs, you can click the speaker icon on that tab. You will have to repeat this step every time you restart Safari. With Opera, to mute sound in all open tabs, right-click on any tab and click Mute other tabs. You can then selectively unmute tabs when you need to, or go back to the original tab and click Unmute other tabs. There are some serious shortcomings to this method. Any tabs you open after the fact will not be muted, and you will have to repeat this every time you restart Opera. Windows 10 users using Edge don’t appear to have a way to mute tabs at all, let alone preemptively. They can, however, use a free app called Ear Trumpet to achieve a similar result. When you open up the app, it will open in the system tray. Click the Ear Trumpet icon, and you’ll see volume controls for all your open programs. You can decrease the volume on Microsoft Edge, or any other browser or app you use on Windows 10. If you want to play something in Edge, you will have to unmute the browser in Ear Trumpet as there is no way to selectively mute tabs. Do you prefer to automute sites that autoplay videos? What are your favorite tools for dealing with these problems? Let us know in the comments. I want to order thing from Amazon marketing,but here in Manipur no delivery service.otherwise every needful things will get from Amazon marketing in re asonable prices. "Amazon is where we usually spend our money, "
I spend most of my money on my mortgage. Then it's food, power, gas, water and fuel, in no particular order - I have a 50mpg car and I usually ride a bike to work and cook my own meals and take leftovers to work for lunch. I am obviously very much NOT your target demographic if you're targeting people who blow money on crap from Amazon! Sure, they are great for some purchases - like books - but for over 50% of your income? Wow, while typing my response, I scroll up past numerous other spam ads about how to minimise this and reduce that. Adblock, Ghostery and self control, puh-lease! !